The perfect way to cover up that boring tissue box! 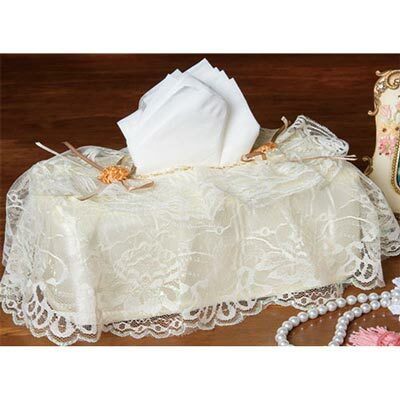 Lace Garden Tissue Box Cover is covered in layers upon layers of lace and accented with ribbon rosettes and bow, it adds a feminine touch to any décor. Fits any stand rectangular tissue box. Polyester. Imported. Hurry! Quantities are limited!